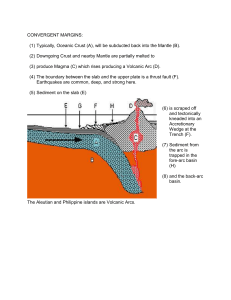 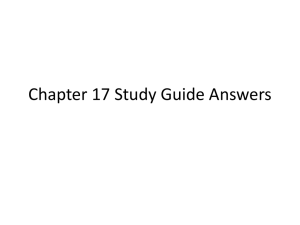 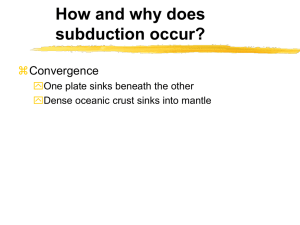 PowerPoint Presentation - How and why does subduction occur? 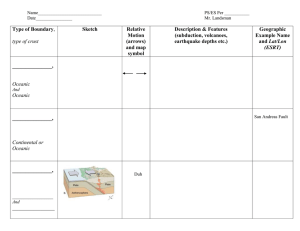 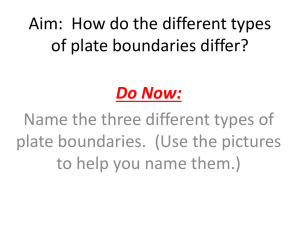 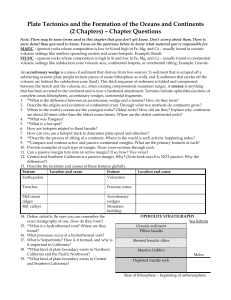 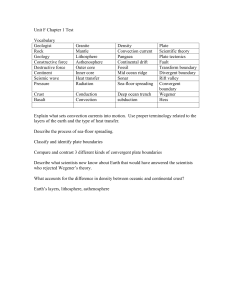 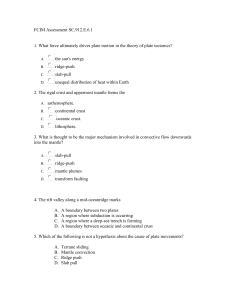 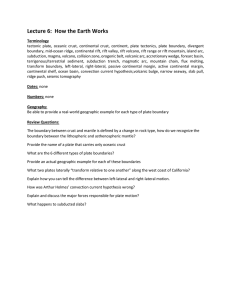 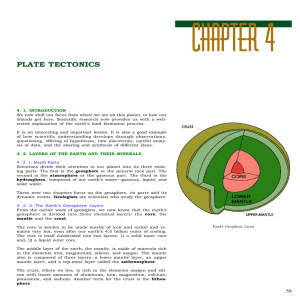 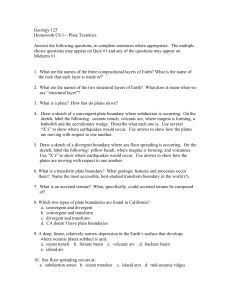 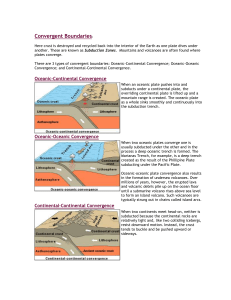 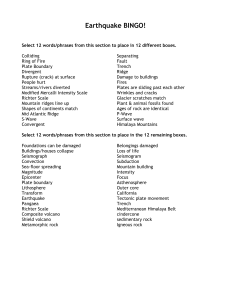 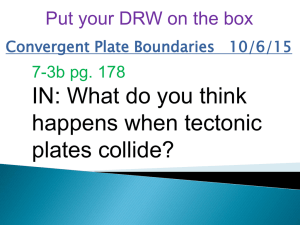 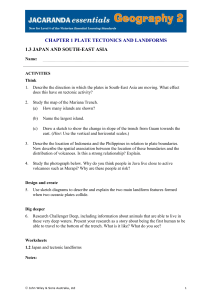 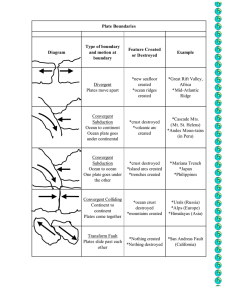 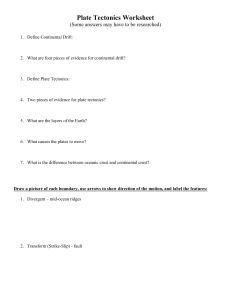 Aim: How do the different types of plate boundaries differ? 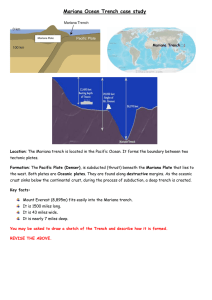 The oceanic trenches are hemispheric-scale long but narrow topographic depressions of the sea floor. 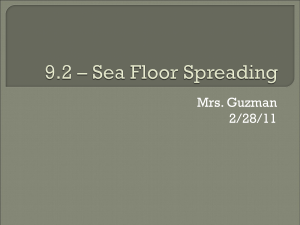 They are also the deepest parts of the ocean floor. 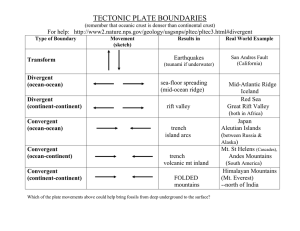 Oceanic trenches are a distinctive morphological feature of convergent plate boundaries, along which lithospheric plates move towards each other at rates that vary from a few mm to over ten cm per year. 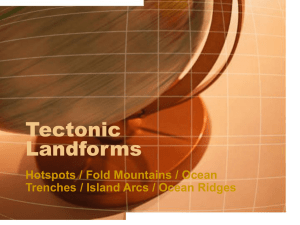 A trench marks the position at which the flexed, subducting slab begins to descend beneath another lithospheric slab. 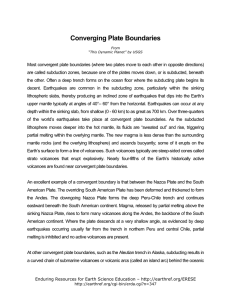 Trenches are generally parallel to a volcanic island arc, and about 200 km (120 mi) from a volcanic arc. 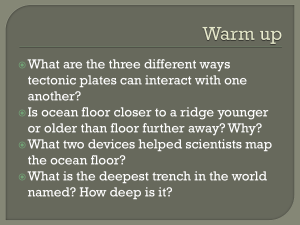 Oceanic trenches typically extend 3 to 4 km (1.9 to 2.5 mi) below the level of the surrounding oceanic floor. 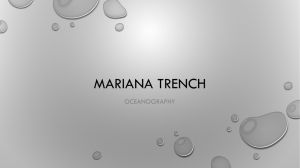 The greatest ocean depth to be sounded is in the Challenger Deep of the Mariana Trench, at a depth of 11,034 m (36,201 ft) below sea level. 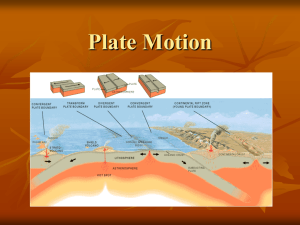 Oceanic lithosphere moves into trenches at a global rate of about 3 km2/yr.